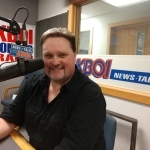 Boise (670 KBOI News) – The Add the Words bill is back, and officially part of the 2019 Idaho legislative session. Boise Senator Maryanne Jordan introduced the legislation on the floor of the Senate today, as a personal bill. That means it skips the draft legislation process in committee, and goes directly to print. Jordan says Senate Bill 1015 is needed now more than ever. Cities like Meridian and Boise have already adopted codes do bar employers and property owners from discriminating against people based on their sexual choice or identification.